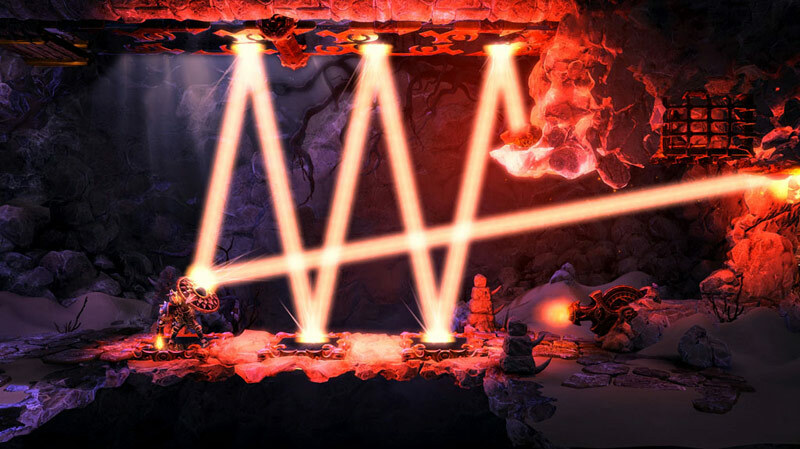 Play as the three Heroes - Amadeus the Wizard, Pontius the Knight, and Zoya the Thief - and join their adventure through dangers untold in a fantastical fairytale world, including physics-based puzzles using fire, water, gravity and magic; wicked goblins and their evil plan; and a magical environment full of wonder. 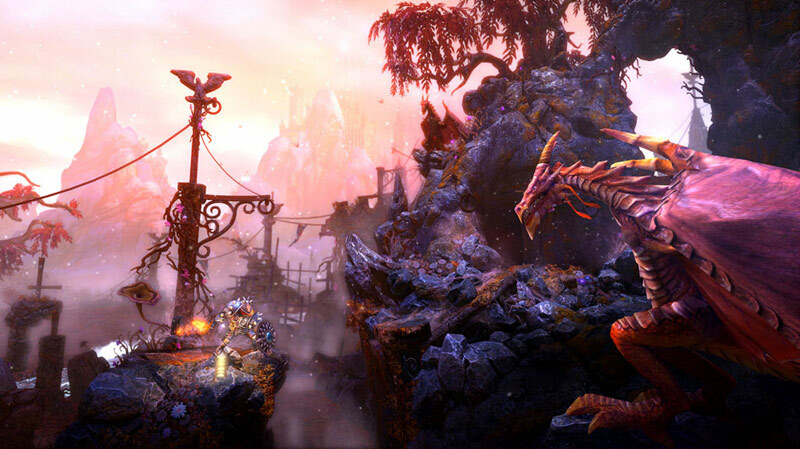 Trine 2: Complete Story is an impressive realisation of a magical and whimsical tale that you can see and play. The plot is innocent fun; the graphics, colourful environments, and audio are unbelievably captivating; and the gameplay, while falling short in minor areas, shines with excellent puzzles and platforming. 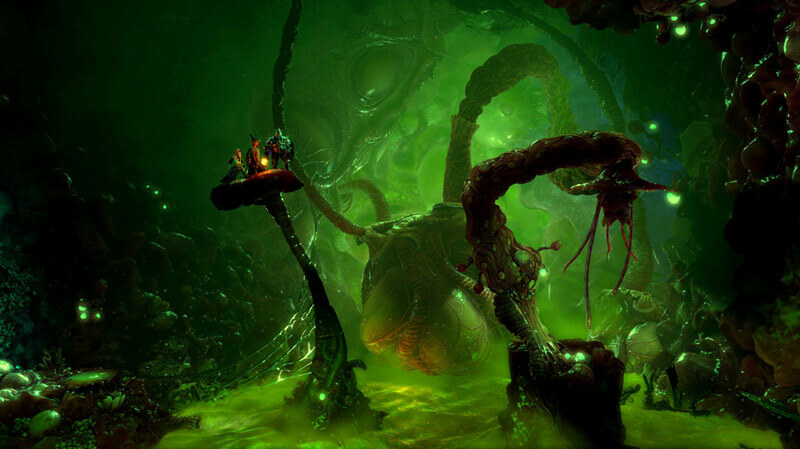 Simply put, it's an exemplary indie game that has the makings of a blockbuster title – and that is no fairy tale. 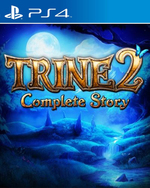 Trine 2: Complete Story is a grand embellishment of one of the most charming and accomplished adventure platformers in recent years. Bolstered by a wealth of additional content, multiplayer modes and the gorgeous 1080p/60 fps veneer that PlayStation 4 allows, this should be the next game to find a home on your PlayStation 4. 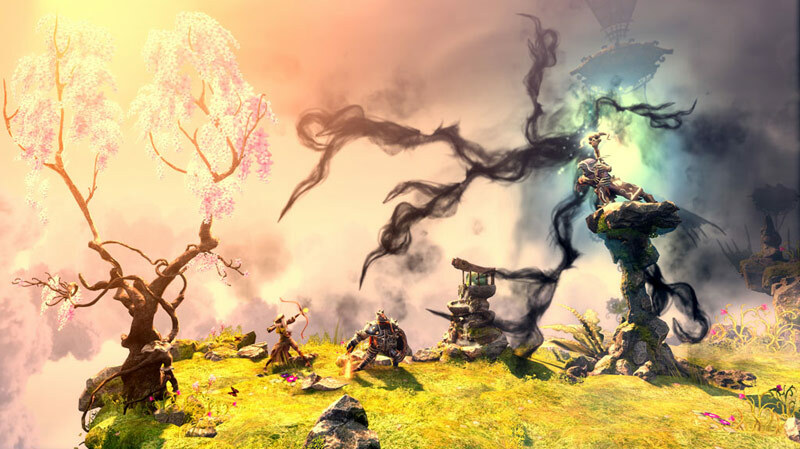 There’s a strong variety of unique puzzles, and with the gorgeous world that can be taken-in, Trine 2 ends up being a luscious adventure. ...Unfortunately, there’s not a lot here to convince those who have ventured through the journey once already. Even with the stronger graphical performance bringing console players closer to a high-end PC experience, the new touchpad functionality isn’t well utilized. 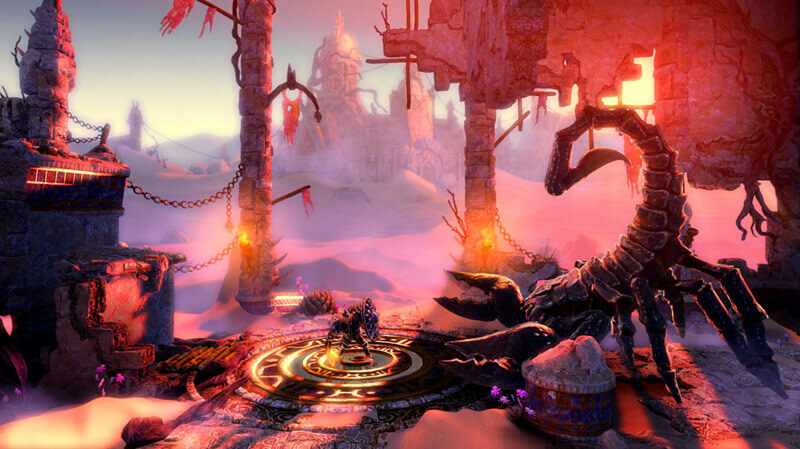 Regardless, Trine 2: Complete Story remains a strong action-platformer capable of wowing newcomers.